What is the one characteristic that you just love about your spouse? For me it is Ed’s optimism, he always sees the best in people, and manages to see the light at the end of every tunnel. Last week is a perfect example of his optimism. Seeing that it was the end of January, Ed announced that he was going to put away his winter boots, as he felt they would no longer be of any use to him this winter. He was sure that there would be no more snow… it might be cold, but no snow. This announcement caught me off guard, Ed is a CBC (Canadian Born Chinese) so he is no stranger to Canadian winters, heck he even grew up in Northern Ontario. So I did what any good wife would do, I kept my mouth shut. So away his boots went tucked in the back of the closet for another year. Well here’s the thing about optimism, you can have your glass half full attitude but sometimes, well… snow happens. It has been snowing here since Friday night… three solid days of snowing. 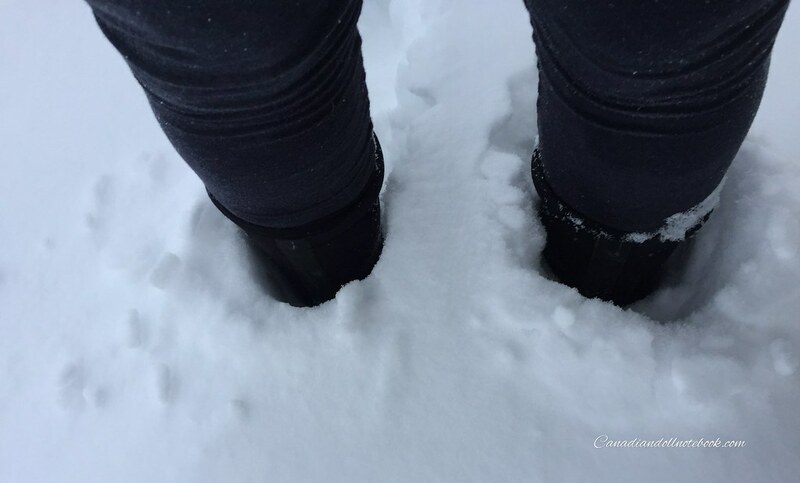 I took this photo this morning whilst wearing my winter boots as I was heading out to brush off the truck. Due to this crazy weather we chose to stick close to home this weekend. 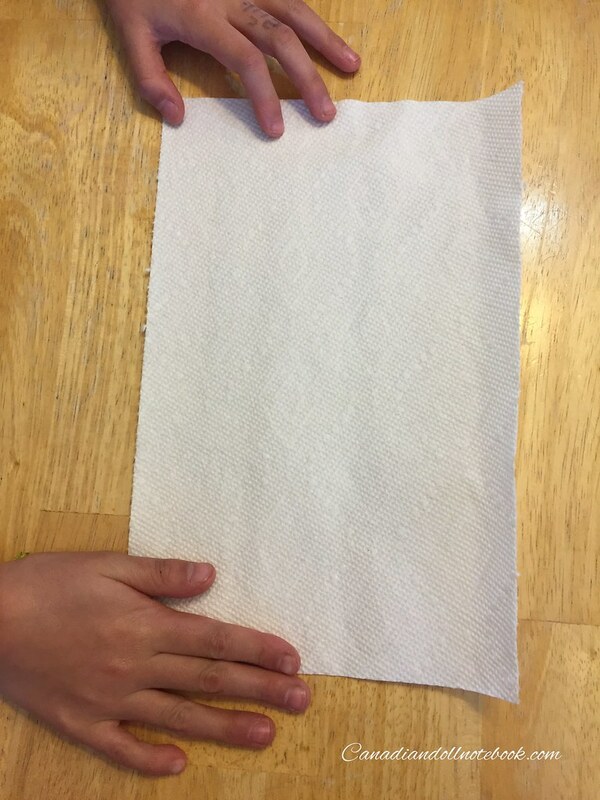 My kids, like their wonderful father made the best of a bad situation, and came up with a craft that they have allowed me to share with you! Dee-dee is 9 and Moy-moy is 7, this craft required zero assistance, from me. 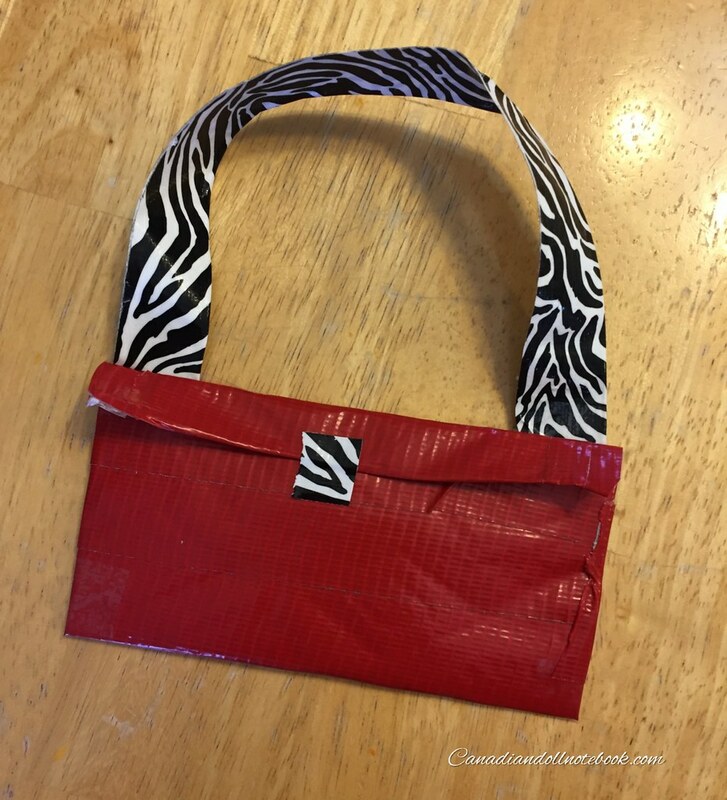 To be honest I didn’t even know it was going on until my girls were walking around the house with fabulous purses! So here it is step by step, have fun! 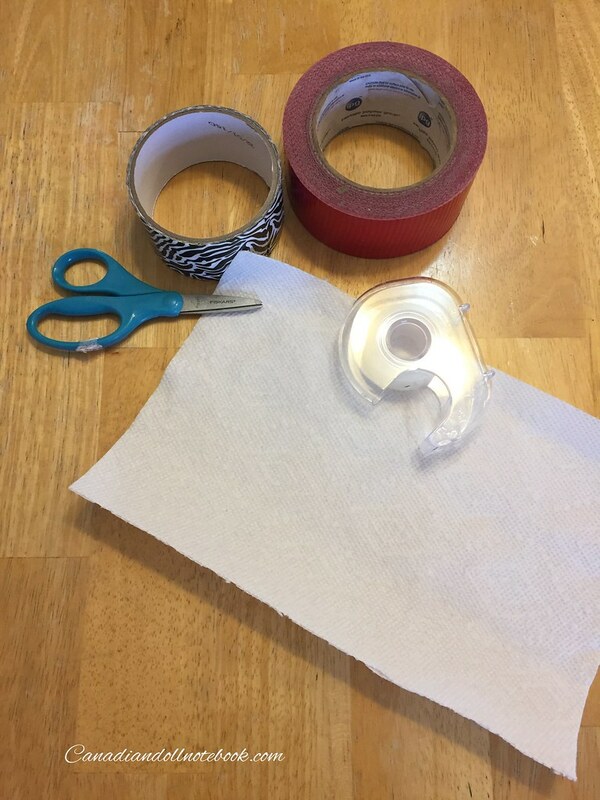 These are the supplies required, scissors, duct tape (any colours will do), scotch tape, and a sheet of paper towel. 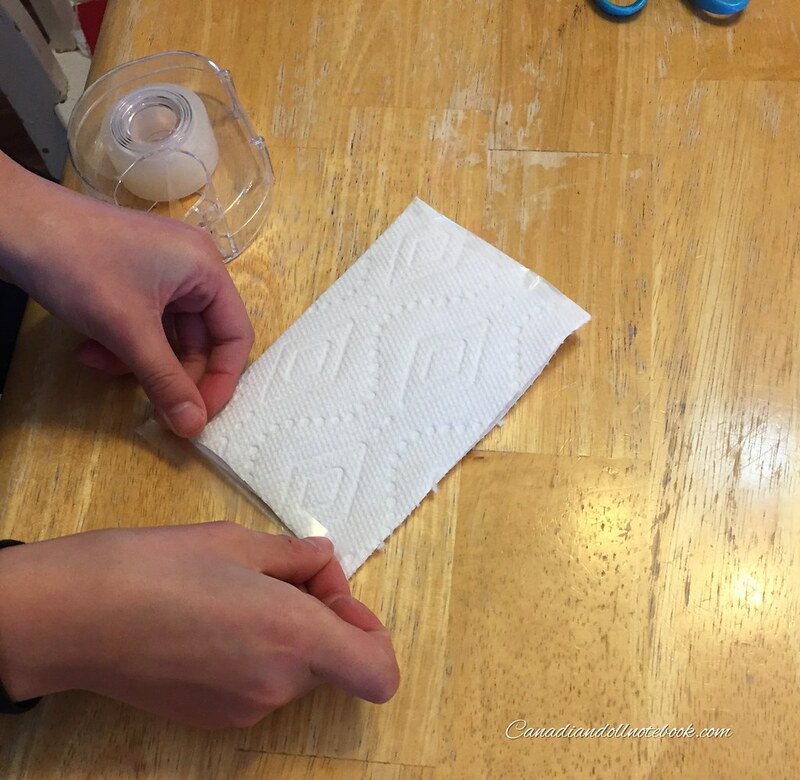 First start with your piece of paper towel. 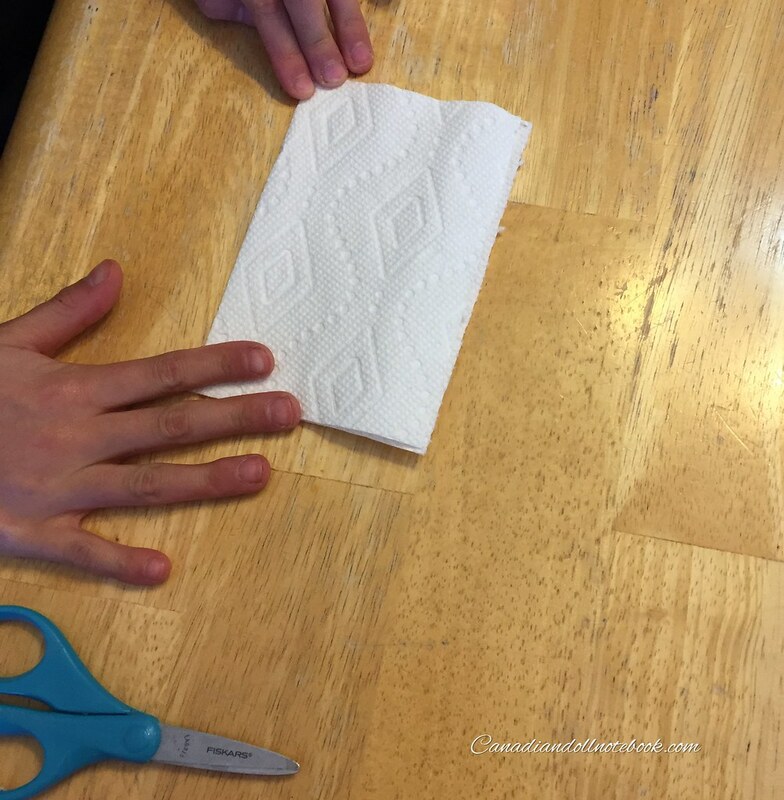 Fold the paper towel in half with the two shorter sides at the top. 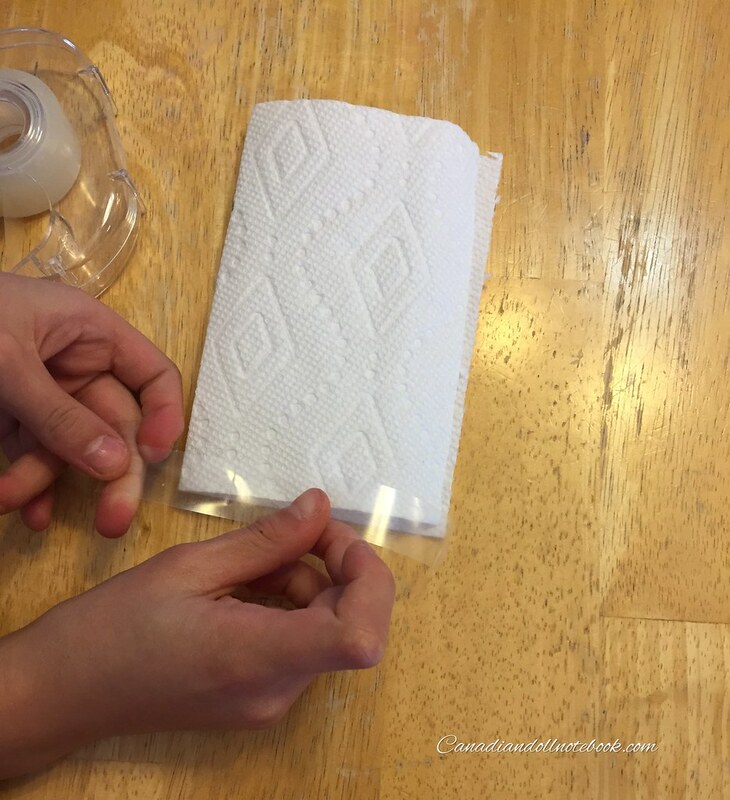 Fold it in half again, with the shorter sides at the top once again. 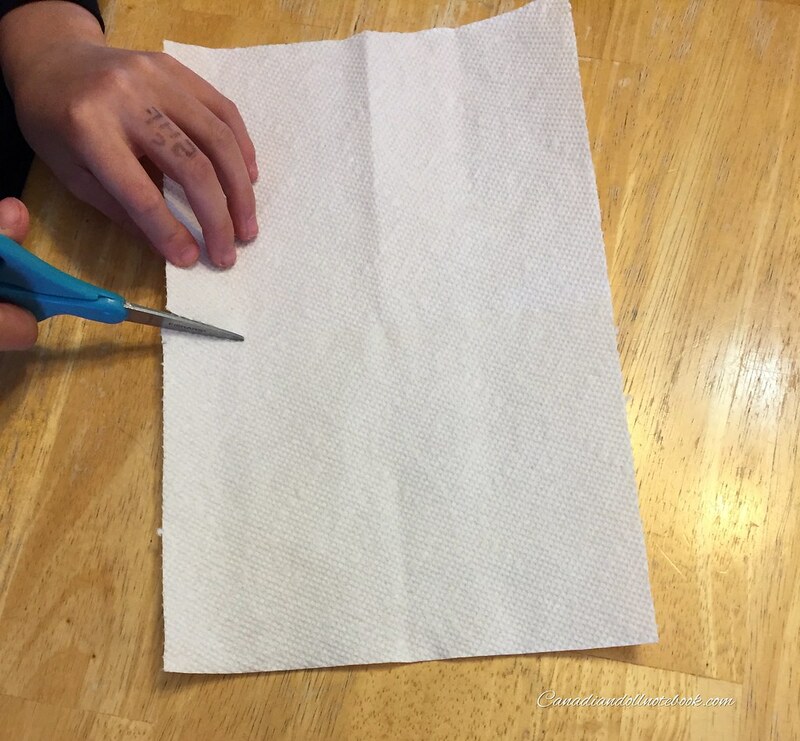 Next cut the paper towel in half, along the centreline. Once it is cut in half you can discard the other side as we are only going to be working with this one half. 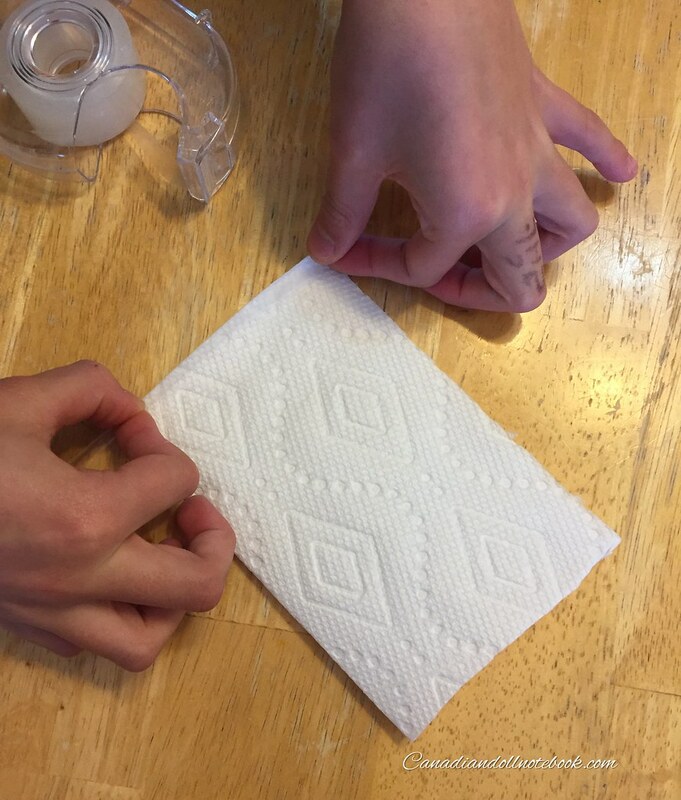 Fold one piece in half, with the shorter sides at the top again. Apply scotch tape to the short side. 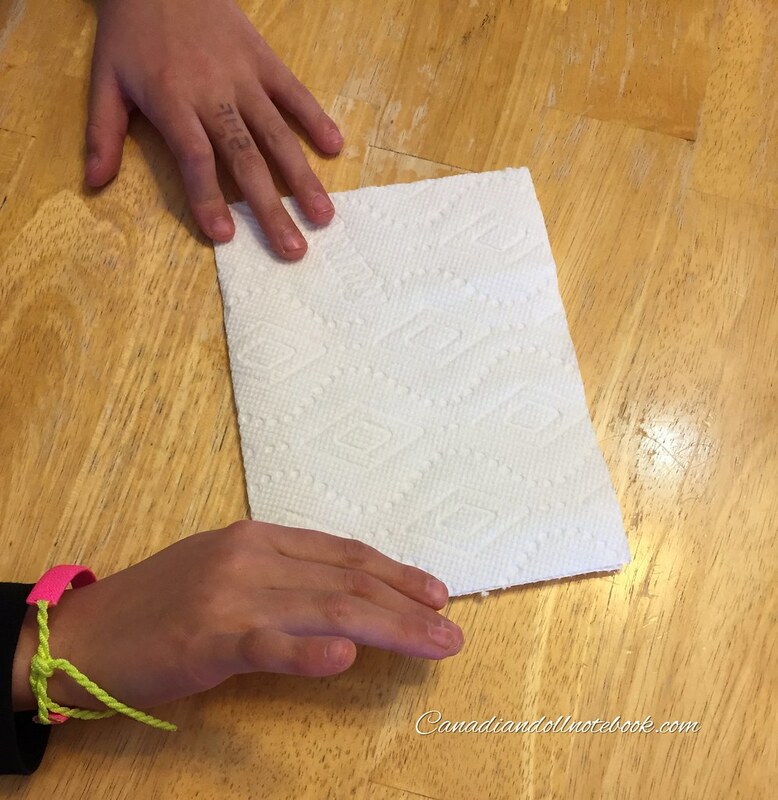 Fold it over on the other side of the paper towel. 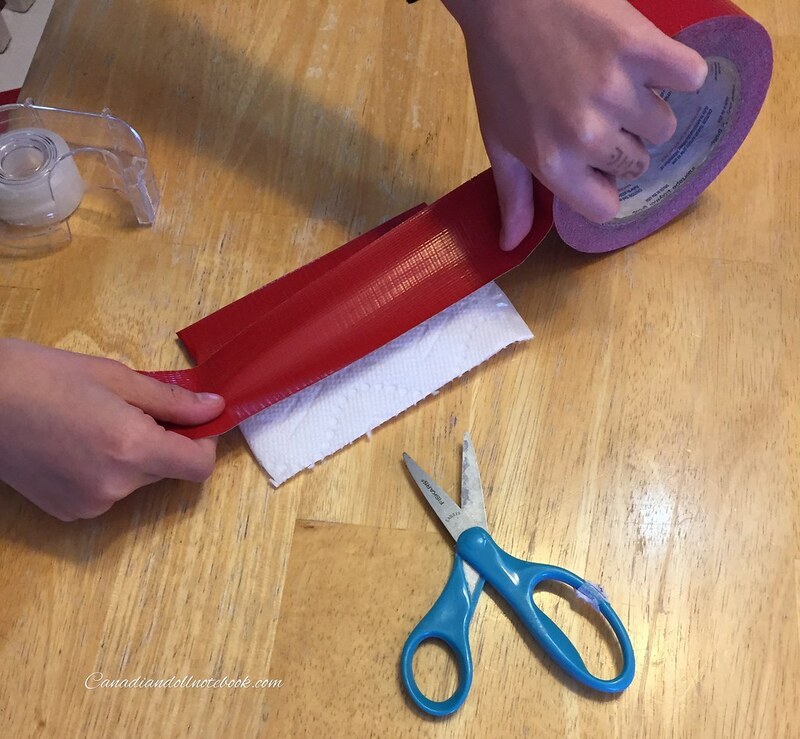 Trim off any excess scotch tape at the ends. Repeat the process on the opposite end, you should have a little pocket once you are done. Now comes the fun part! 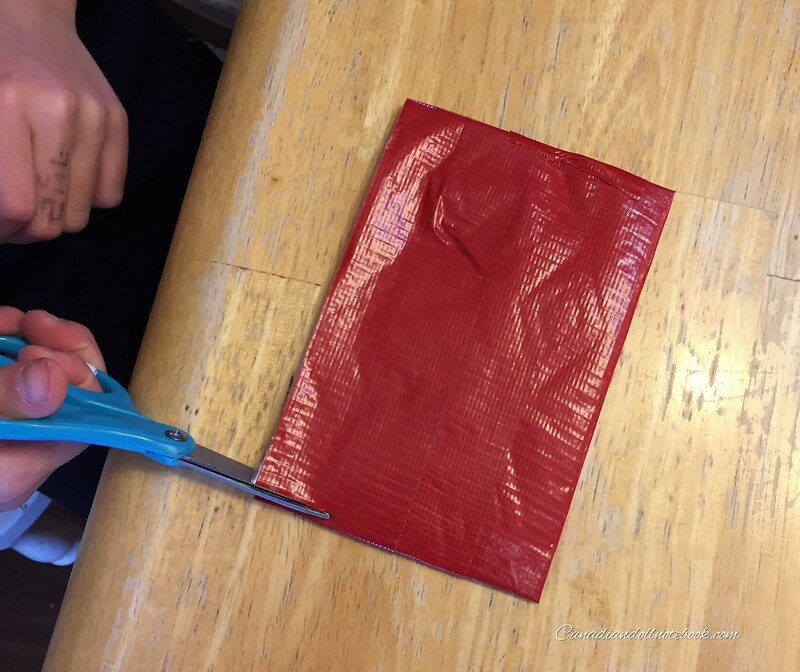 Apply a strip of duct tape to the folded bottom the paper towel pocket you made. 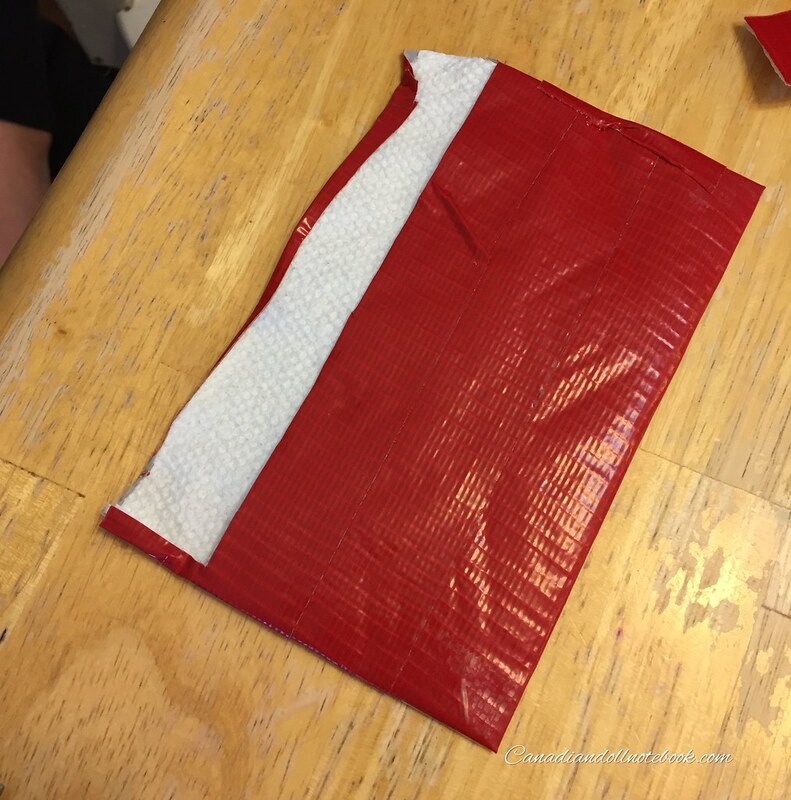 Then flip the pocket over, and fold the duct tape over the edges on the back. 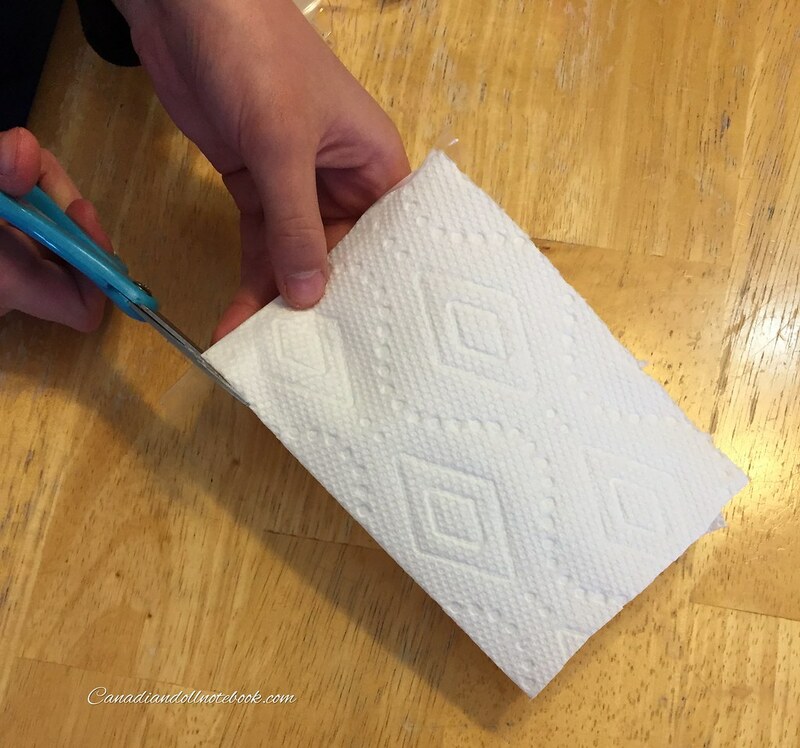 This not only does this reinforce the paper towel pocket, it makes it pretty too! 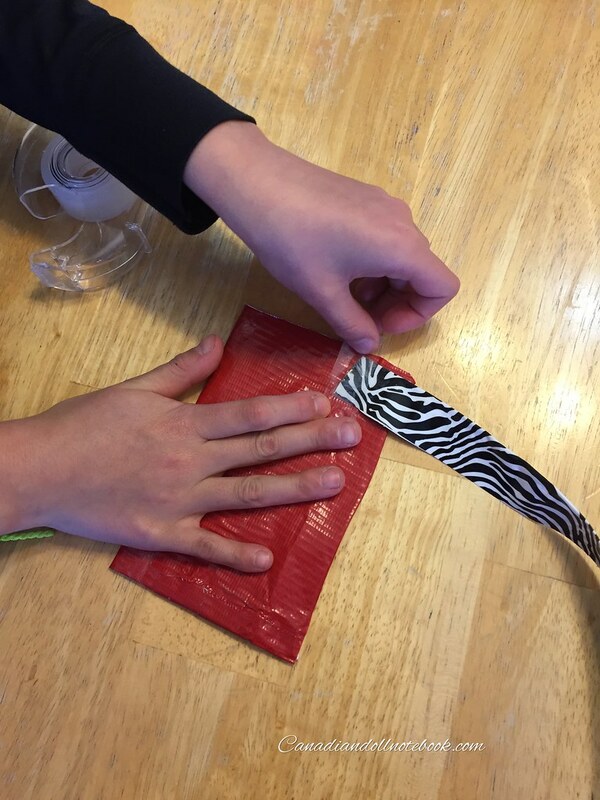 Continue to cover the pocket with strips of duct tape, on both sides of the pocket until it is completely covered. Be sure to leave the top open! Now your pocket should look something like this. Next make a cut about a quarter of the length of the pocket on either side. Now cut that top quarter strip out on one side only of the pocket. 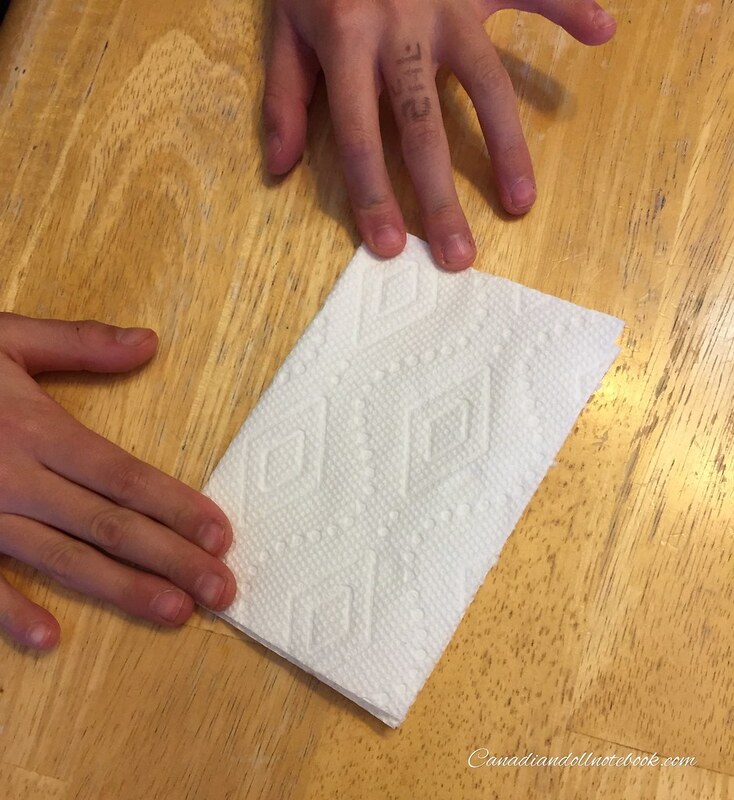 Your pocket should look like the above photo, with the paper towel from the backside peeking out. 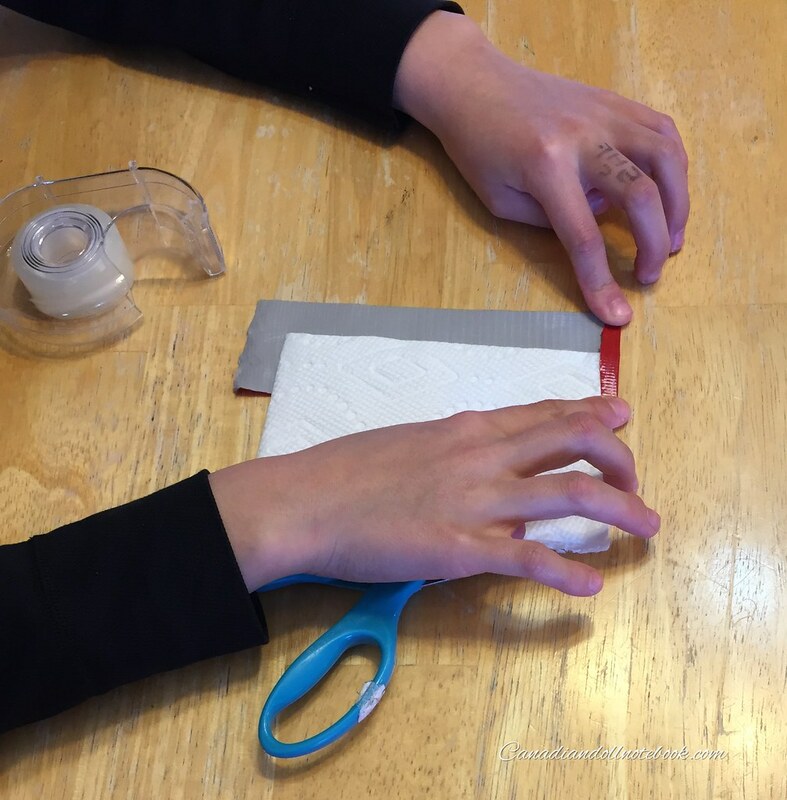 Fold the top quarter from the back, down over the front to make a flap. 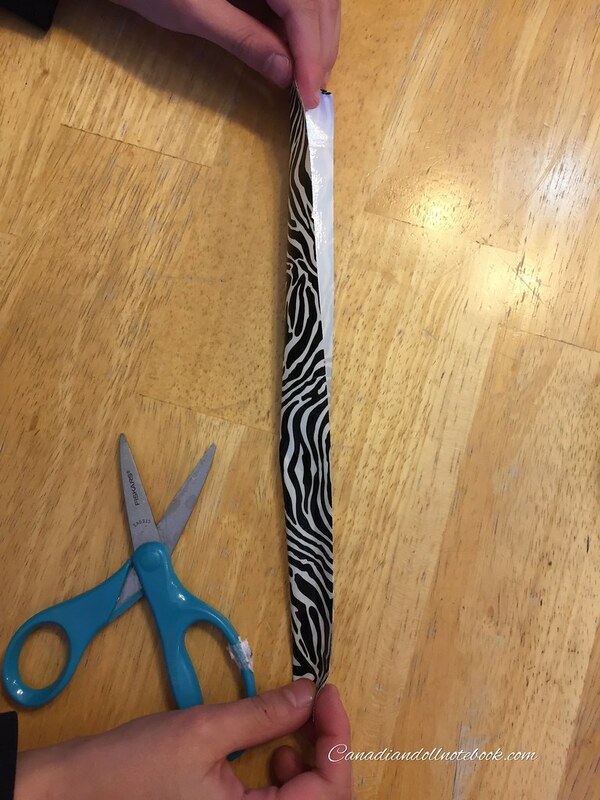 Next cut a strip of duct tape the length you want for your purse strap. 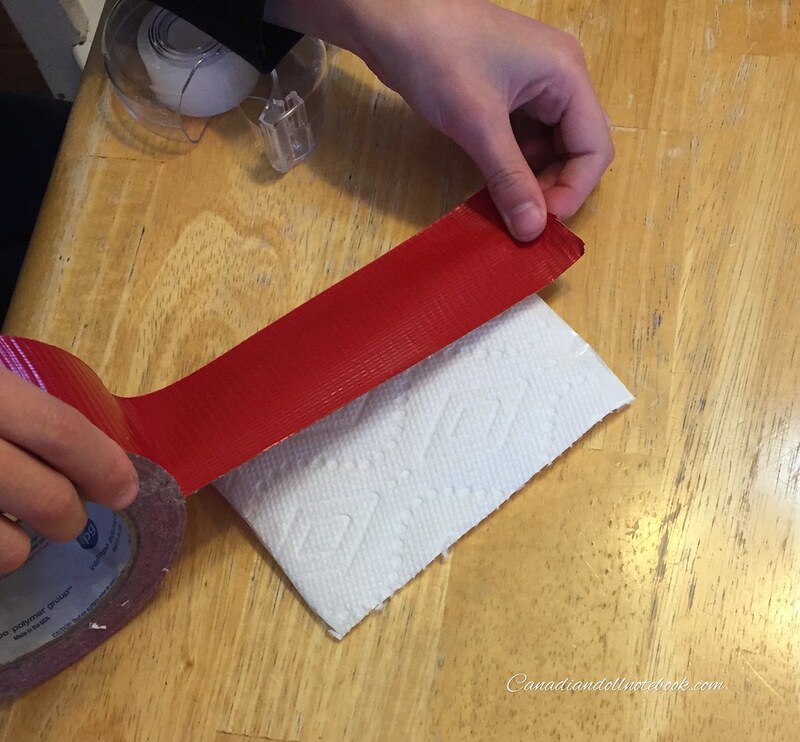 Fold that duct tape piece in half, sticky sides together. 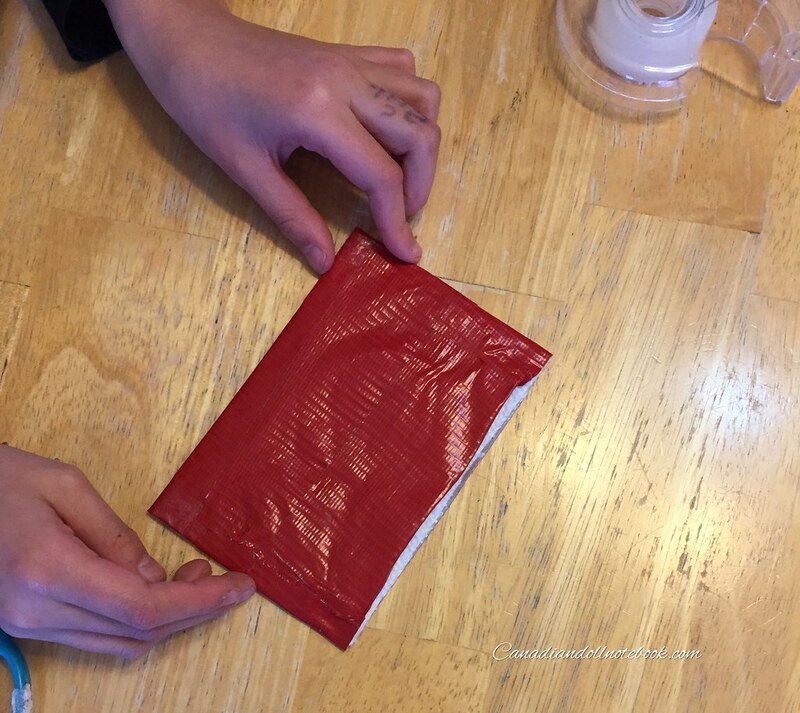 Using the scotch tape, secure one end of the strap to the back of the purse. 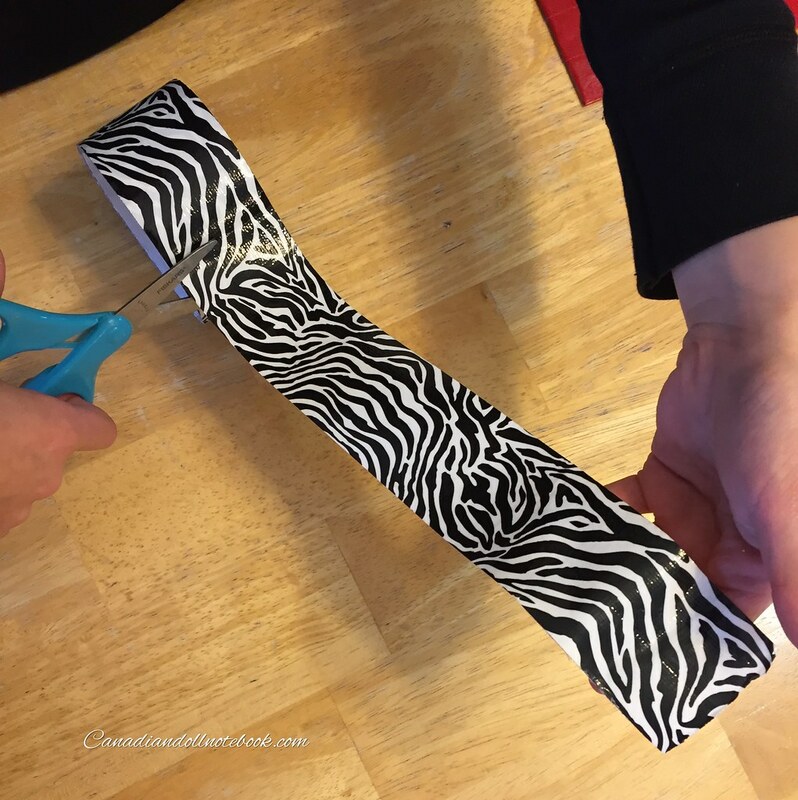 Do the same with the other end of the duct tape strap. 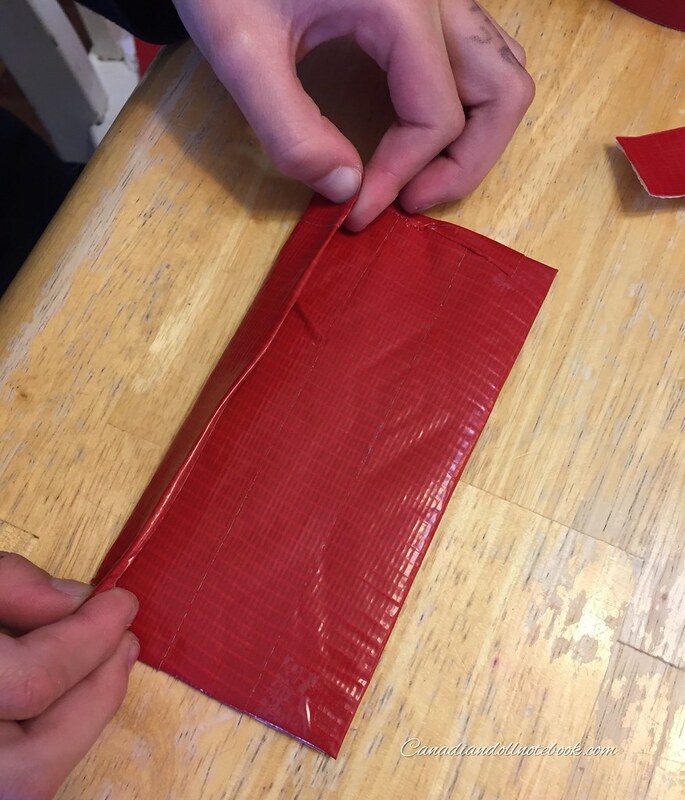 Lastly cut a small piece of duct tape and use it as the clasp. Here is our lovely model Kyla. 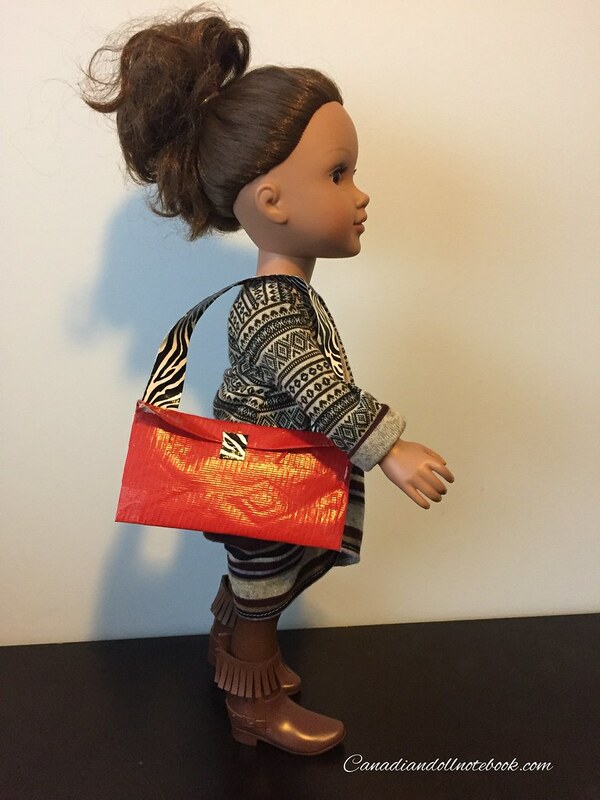 She loves this purse, as it is perfect match for her stylish winter boots. Bet Kyla is glad she did not put her boots away! I know, right? I was so impressed by my girls! Awww, this is adorable! 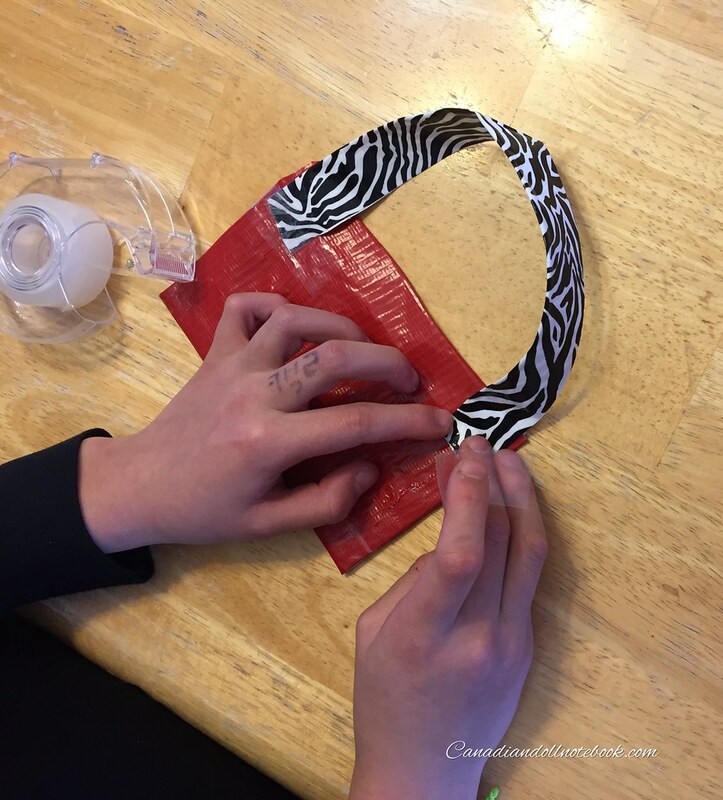 I love it when kids craft up something fabulous! 🙂 I love the red and zebra! Very chic! We had a massive snow fall here too over the last few weeks. It was crazy. Now it’s starting to warm up again. I’m so ready for spring! Snow is melting here today! Spring is on it’s way!!! Megan has been an avid collector of dolls from an early age, her passion lies in doll repair and loves to share her knowledge with others. 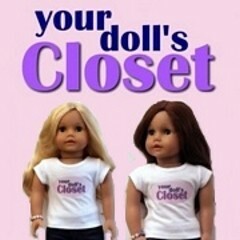 Megan has been the primary author at Canadian Doll Notebook for the past year. She is surprised that after writing numerous gruelling papers to complete her Bachelor’s Degree from Athabasca University, she was able to rekindle her love of writing and start this website.